Over the course of a 5-year applied research project with more than 1,400 middle school students, evidence from a number of studies revealed that retrieval practice in authentic classroom settings improves long-term learning (Agarwal et al. 2009; McDaniel et al., Journal of Educational Psychology 103:399–414, 2011; McDaniel et al. 2012; Roediger et al., Journal of Experimental Psychology: Applied 17:382–395, 2011a). Retrieval practice, or the use of quizzes and exams to engage and enhance retrieval processes, has been widely established as an effective strategy for facilitating learning in laboratory settings (e.g., Roediger et al. 2011c). 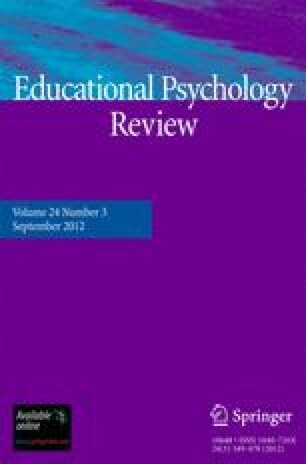 In this article, we review recent findings from applied research that demonstrate that retrieval practice enhances long-term classroom learning, delayed quizzes are particularly potent for retention, quizzes benefit students’ transfer to novel quiz items, and quizzes with feedback improve students’ learning and metacognitive awareness. In addition to generating evidence to support retrieval-based learning, these applied research studies also enhanced the professional development of the teachers, administrators, and scientists involved in the project. In this article, it is our hope that by sharing what we have learned from a variety of perspectives, applied scientific research in K-12 classrooms will continue to be explored and generated at local, state, and national levels, improving student learning and educational decision-making. This research was supported by the Institute of Education Sciences, U.S. Department of Education through grants R305H060080 and R305A110550 awarded to Washington University in St. Louis. The opinions expressed are those of the authors and do not represent the views of the Institute or the US Department of Education. We thank our colleagues Henry L. Roediger, III, Mark A. McDaniel, and Kathleen B. McDermott for their contributions to the research reviewed, as well as participating students, teachers, and parents from Columbia, IL, USA. We also thank an anonymous reviewer for helpful comments on an earlier version of this manuscript. Carpenter, S.K., Cepeda, N.J., Rohrer, D., Kang, S.H.K., Pashler, H. (2012). Using spacing to enhance diverse forms of learning: Review of recent research and implications for instruction. Educational Psychology Review. doi: 10.1007/s10648-012-9205-z. Karpicke, J. D., Grimaldi, P. J. (2012). Retrieval-based learning: A perspective for enhancing meaningful learning. Educational Psychology Review. doi: 10.1007/s10648-012-9202-2. Pashler, H., Bain, P.M., Bottge, B.A., Graesser, A., Koedinger, K., McDaniel, M.A., et al. (2007). Organizing instruction and study to improve student learning (NCER 2007-2004). Washington, DC: National Center for Education Research, Institute of Education Sciences, U.S. Department of Education. Available online at http://ies.ed.gov/ncee/wwc/pdf/practice_guides/20072004.pdf. Rawson, K. A., & Dunlosky, J. (2012). When is practice testing most effective for improving durability and efficiency of student learning? Educational Psychology Review. doi: 10.1007/s10648-012-9203-1.